Kate Beaton combines her artistic talent, sense of humour and knowledge of history to create her unique comic strips. Hark! 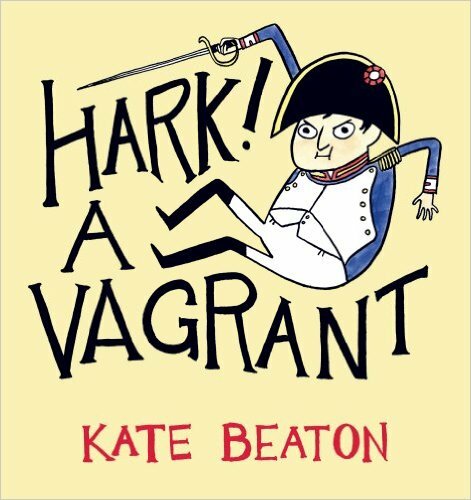 A Vagrant is a collection of comic strips on all topics, and connecting them all is Beaton's love of history and literature. I don't usually read comics, but after stumbling across the work of Kate Beaton on her website, I couldn't resist looking her up at the library. I'll admit not understanding ALL of the comics, but that's okay. Beaton's knowledge of history cuts across so many eras and genres that it would have to be a very well-rounded reader to get all of her jokes. Hark! A Vagrant is a great coffee table book, and is easy to flip open to any page and start reading. I enjoyed it while watching the Tour de France 2015, and it gave me many laughs. I enjoy nonfiction comic books -- this one looks fun! Thanks Joy, this one is a lot of fun, so hope you check it out. This was my first nonfiction comic book actually.